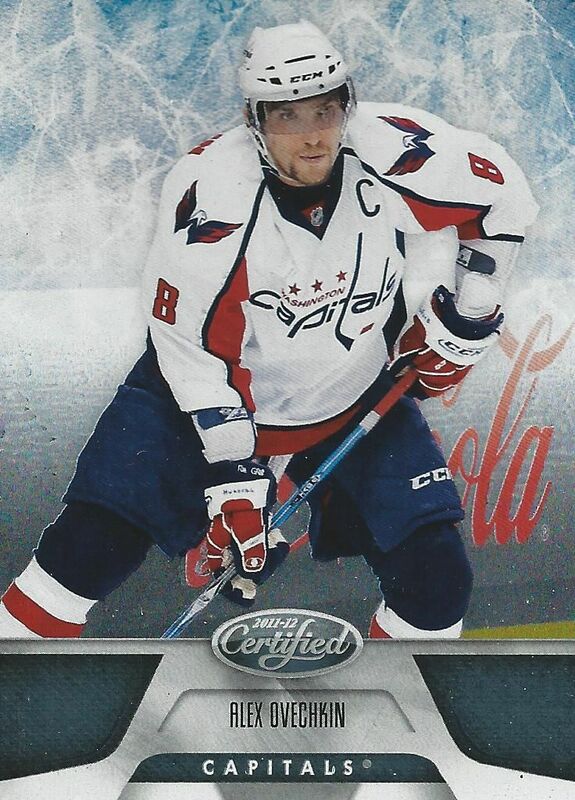 You guys know how much I enjoy opening up blasters of Certified. There is just so much bang for the buck in these things. They are one of the best deals around now in terms of retail products. Each blaster should come with a hit. It's usually a jersey card, but getting an auto or patch is not out of the question! This blaster is about ten bucks... ten bucks! That is an awesome deal for getting a guaranteed hit. Many Upper Deck retail blasters in the same range like Artifacts and Series One or Two do not have a jersey or autograph in it. I think getting a hit is extremely appealing, so this is just perfect for collectors looking to get a little something for not too much money. Other than looking forward to the hits are the sweet looking base cards. 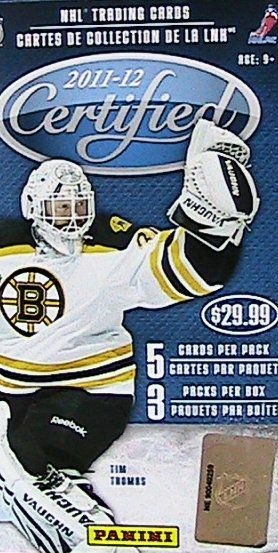 Though these aren't as nice as the inaugural release, I still think these cards are great looking. They are all foil and very shiny. These are definitely a step above standard cards. I was pretty sure that I was going to get a jersey card, but as it turned out, the 'bigger' pack in the blaster was just filled up with a little more air than the others. My hit came out of my very first pack.It was a little bit of a surprise, but I liked that my hit was an autograph. For a minute there I thought there might be a jersey card in the blaster as well... but that wasn't the case. Too bad! Ovi is a great player getting more and more milestones as he continues his stellar career. It was cool to get his base card in my three packs. He was probably the top player in the little stack that I got out of the blaster. 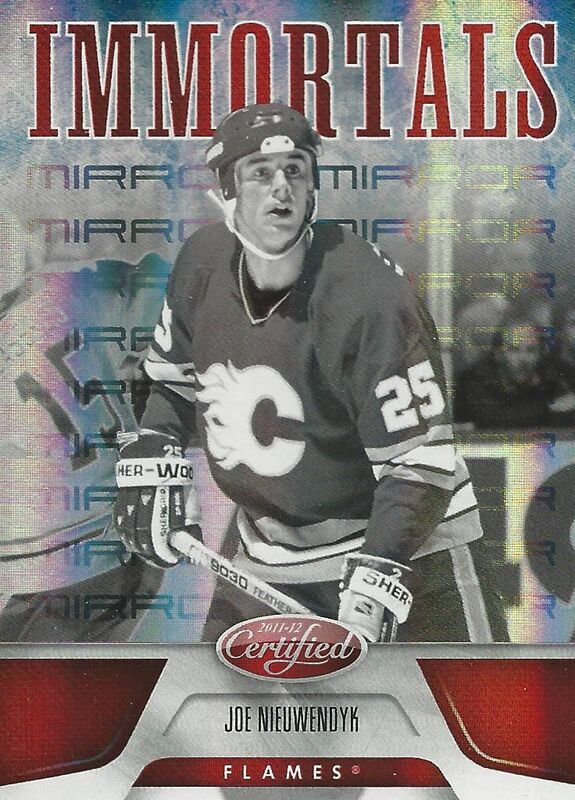 Immortals are sweet cards and the one that I got was a parallel version - a Mirror Red variation. The black and white look with the red highlights and background foil come together in a great way. Yay! An autograph. I love getting autographs - no matter if it's retail or hobby. 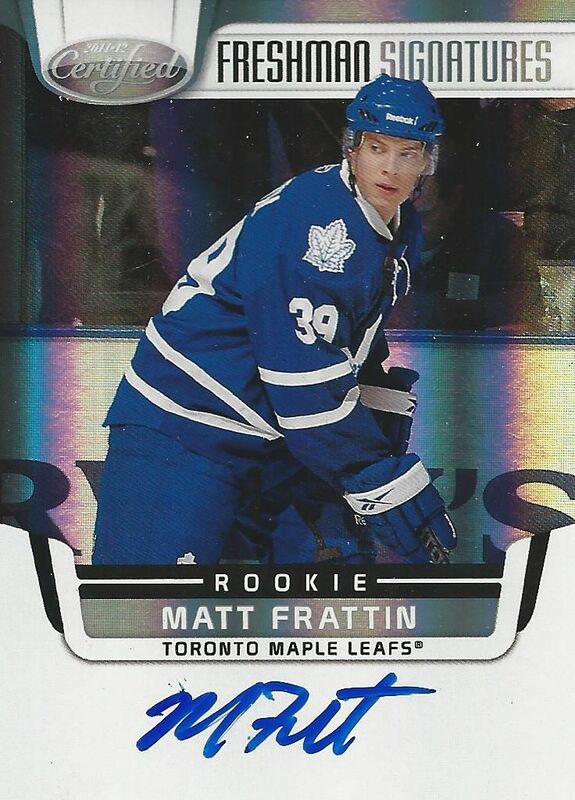 This Matt Frattin card is especially cool because the autograph is on-card and not a sticker. I have gotten a few nice autographs out of 11/12 Certified. Maybe the frequency of them is a little higher in these than in other years of Certified. My advice to you is to pick some of this up if y ou can find it for the great price of ten dollars. It's well worth it in my opinion!